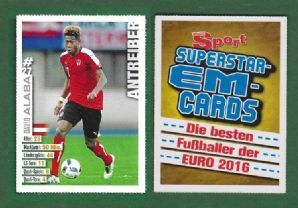 Foreign Football card issued by Bravo Sport under the Superstar EM Cards for Euro 2016. Measures approximately 5.2 x 6.8cm. 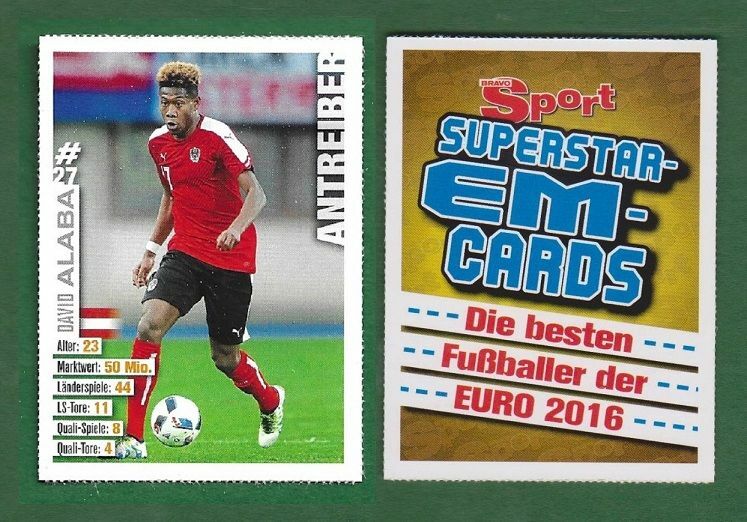 Depicting the Austria footballer David Alaba, who has played for Bayern Munich and Hoffenheim.